A new vineyard designation for us, Platt was planted in 2003 with first crop in 2006; the young-vine production has been going into our Sonoma Coast appellation bottling. At seven years of age the vines were old enough to make a wine of sufficient density and concentration to merit singling out. Planted to the Wente selection collected from one of our Hyde Vineyard blocks, the rows are densely planted (3' and 4' by 6') on low-vigor rootstock (420A). Located five miles from the Pacific off Bodega Highway, midway between Sebastopol and Bodega Bay, the vineyard sits at 800' on a south-facing slope overlooking the Estero Americano (which funnels cooling marine weather to the Sacramento delta via the Petaluma Gap). This Chardonnay ripens two weeks later than our Russian River Chardonnays, with a lower pH, and the crisp acidity and minerality from this cool site are quite apparent in the wine. 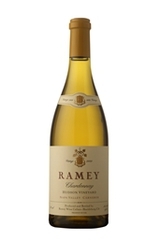 A classy effort, with a core of ripe, vibrant white peach, pineapple, nectarine and tangerine framed by light cedary oak. Young and tight, this gains depth and finesse. Should reward cellaring. Drink now through 2020.-J.L.